The 49ers were swept by the Cardinal at home on Saturday night. Long Beach Transit (LBT) launched the Systemwide Transit Analysis and Reassessment (STAR) initiative last year, seeking a combination of public and private commentary about how the agency can better improve its overall routes, service, and efficiency. Consulting firm Nelson/Nygaard has come back with suggestions—and they’re quite massive. Actually, they’re so massive to the extent that LBT will host five public meetings on the STAR proposals, listed at the bottom of the article, to discuss if they will actually be implemented and if so, how they can be best achieved. First, let’s look into the changes in the three proposed alternatives—and there’s a lot of ’em. Grab a cup of coffee and some time if you have it. Click on the maps for higher resolution versions. This route provides peak directional service between DTLB, Bergamot Station, and Downtown Santa Monica. Regional travel patterns and employment data suggest a significant number of people with an origin in Long Beach and a destination in Santa Monica. In addition, the I-405 Freeway, which connects these two locations, is one of the most congested freeways in the region. While it is possible to make this connection on the Blue Line and Expo Line, the travel time of almost two hours is uncompetitive. A direct Long Beach to Santa Monica route is recommended to serve this travel market. Six trips would operate northbound in the morning and six would operate southbound in the afternoon. This route provides peak directional service between Lakewood and DTLA. Regional travel patterns and employment data suggest a significant number of people with an origin in Lakewood and a destination in DTLA. Travel times on transit, using a bus to transfer to the Blue Line, is not competitive from a travel-time perspective. A shared-use park-and-ride, or leased space from an existing business, would increase the market potential and reach of this proposed service. Proposed R3 provides peak directional service between southeast Long Beach and DTLA. Regional travel patterns and employment data suggest a significant number of people with an origin in southeast Long Beach and a destination in DTLA. Travel times on transit, using a bus to transfer to the Blue Line, are not competitive from a travel-time perspective. A shared-use park-and-ride, or leased space from an existing business, would increase the market potential and reach of this proposed service. A route connecting CSULB, the high-density residential areas surrounding the Traffic Circle and Lakewood Boulevard with downtown Los Angeles is recommended. The route would utilize the HOV lanes on the I-405 and I-110 freeways. Northbound vehicles would allow drop-offs at the I-110/Harbor Freeway Green Line Station and pick-ups in the southbound direction. Six trips would operate northbound in the morning and six would operate southbound in the afternoon. Trips returning to Long Beach in the morning could stop at the Harbor Gateway Transit Center and operate in-service, R4, to the VA/CSULB. Likewise, trips headed from the bus garage to DTLA in the afternoon could connect these locations. Only a limited amount of morning eastbound and afternoon westbound trips would occur. This route provides a direct connection between the Long Beach origins described above and the largest job center in Orange County, the Irvine Business Complex. It also provides direct connections to nearby destinations including South Coast Plaza (the largest retail center on the West Coast) and John Wayne Airport (via transfers to airport shuttles). Transfers can be made to OCTA buses connecting to University of California, Irvine. This route would have limited stops on 7th Street, with boarding-only in the morning to Santa Ana and offs only from trips returning from Santa Ana in the afternoon. Six trips would operate northbound in the morning and six would operate southbound in the afternoon. This route provides a direct connection from DTLB, the 7th Street corridor, and the VA/CSULB, to the second-largest job center in Orange County, the civic center in downtown Santa Ana. It also provides a connection to Metrolink and Amtrak at Santa Ana (providing two-seat rides to southern Orange County and San Diego County), and to the frequent OCTA bus service on Harbor Boulevard, which connects to Disneyland, among other destinations. Let’s start with the brand new routes and then go onto to existing route changes being proposed. LA Metro Line 130 currently connects Los Cerritos Center with the Artesia Blue Line Station. It is the southernmost east-west Metro route. For most of weekday service, the frequency of Line 130 varies from 25 minutes to 52 minutes, which makes transfers to/from this line unpredictable. The existing ridership pattern, transfer pattern, and land use south of Artesia Boulevard suggest that this corridor could support additional service. LBT should begin operating service on Artesia Boulevard between the Artesia Blue Line Station and Los Cerritos Center, replacing Metro’s Line 130 on this segment. The proposed Artesia Crosstown should operate with a clock face headway to improve transfer opportunities, and also operate more frequently than Line 130 does. Proposed frequencies are 20-minute service on weekdays, and 30-minute service on weekends. Route 91 currently extends from CSULB to the City of Bellflower via Bellflower Boulevard. LA Metro Line 127 provides weekday hourly service connecting the cities of Bellflower and Downey. There are not good connections between Bellflower Boulevard and the Green Line. The Lakewood Center–Green Line route would connect Lakewood Center and the Norwalk Green Line Station via South Street, Bellflower Boulevard and Imperial Highway. In addition to the Green Line, this route would improve service to Kaiser Permanente Downey Medical Center, and provide better, although not direct access, to Downey Landing. Service would operate every 20 minutes on weekdays. West Long Beach currently has service with Route 1, which uses a standard 40-foot bus to operate on neighborhood streets such as Easy Avenue. Circulator Route C1 would replace the existing Route 1 service with a smaller vehicle that is better suited to narrow streets. Circulator Route C1’s proposed route would provide access to the Blue Line at Wardlow Road and Willow Street stations, and use Delta and Easy Avenues between Wardlow Road and Willow Street. Circulator Route C1 would also better connect this neighborhood with grocery stores and other services. Seal Beach, which exhibits relatively low demand for transit and is in Orange County, is currently served by 40-foot buses on trunk routes connected to the PCH, Redondo Avenue and Willow Street corridors. There was a desire for service using smaller vehicles that would have fewer noise impacts on residential properties and could provide more direct access to the community’s major destination, the Ballast Point Brewery. The proposed service maintains direct connections to nearby major destinations—retail on PCH in the Marina area, and Belmont Shore—while maintaining connectivity to both OCTA in downtown Seal Beach and LBT trunk routes providing connections to downtown Long Beach and the VA/CSULB (proposed Route 121). The proposed configuration addresses community priorities and preferences as expressed through the stakeholder interview. Service would operate every 30 minutes seven days a week. Gateway Towne Center is immediately adjacent to the Artesia Blue Line Station. There is currently no easy way for people to access Gateway Towne Center using transit. A locked gate separates the station from the shopping center. In order to address, a new circulator route should be created that connects the Artesia Blue Line Station with the Gateway Towne Center and Compton College. Service would operate every 20 minutes on weekdays only. Circulator Route C4 would connect Lakewood Center with the Norwalk Green Line Station. It is a replacement for existing Route 192 service on South Street and Routes 172/173 service on Studebaker Road between Los Cerritos Center and the Norwalk Green Line Station. It would operate every 30 minutes on weekdays and weekends. Due to anticipated ridership loads, a 40-foot bus may be necessary for this route. Circulator Route C5 would connect Lakewood Center with Hawaiian Gardens. It would be a replacement for the existing Route 191 that currently provides service on Del Amo Boulevard. Circulator Route C5 would directly serve The Gardens Casino, and also provide connections to other routes on Carson Street. It would operate every 30 minutes on weekdays and weekends. Circulator Route C6 would connect Lakewood Center with Hawaiian Gardens and the Los Alamitos Medical Center. It would travel mostly on Carson Street, and overlap Route 101 service, but also extend down Norwalk/Los Alamitos boulevards to Katella Avenue, where there is higher density residential and connections with OCTA’s Route 50. It would operate every 30 minutes on weekdays and weekends. Route 1 has the lowest productivity of any LBT route. It duplicates existing service along Long Beach Boulevard and PCH. Easy Avenue is within a short walk of much more frequent service on Santa Fe Avenue, and the ridership patterns indicate that most customers in west Long Beach are using service on Santa Fe Avenue instead of on Easy Avenue. In addition, Easy Avenue is a neighborhood street that is not well suited for full-sized buses. Route 1 should be eliminated due to low ridership. LA Metro and Carson Circuit would continue to be opportunities for customers from Long Beach to access California State University, Dominguez Hills (CSUDH). Existing customers on Easy Avenue would need to walk to Santa Fe Avenue to access service. Service on Routes 191/192 on Santa Fe Avenue would be more frequent than today. Route 1 should be truncated to operate between Del Amo Station and CSUDH only. This is the one unique segment of the route, and it provides a direct connection to one of the region’s educational centers. Route 1 on Easy Avenue would be replaced by a new circulator service, Route C1, which would operate every 20 minutes connecting the Wardlow Blue Line Station with Easy Avenue and the Willow Blue Line Station. Routes 21/22’s performance is slightly below average. However, the upcoming extension of Route 22 to the Lakewood Green Line Station should improve the ridership potential by adding a new destination at the north route end. Other than supporting the extension of Route 22 to the Lakewood Green Line Station, no further recommendations are made for Routes 21/22 in all three scenarios. The Passport’s ridership has declined by more than 40 percent over the past three years. One of the key contributing factors include multiple different route alignments in downtown Long Beach. The Passport was shifted from the most pedestrian-friendly street in downtown, Pine Street, to less desirable streets. Also, the Passport used to extend north to 10th Street, where it served as a circulator for local residents. The current alignment does not extend north of 4th Street. There are two prime markets for the Passport—tourists and downtown Long Beach residents. Both need frequent (at least every 15-minute service) and easy-to-understand patterns. The Passport should be realigned to serve both markets, which will improve market potential and reverse the ridership trend. The revised alignment would use the following streets to connect the Queen Mary, Shoreline Village, and north downtown Long Beach: Queens Highway, Queensway Drive, Queens Way, Shoreline Drive, Shoreline Village Drive, Pine Avenue, Ocean Boulevard, Long Beach Boulevard, 7th Street, Pacific Avenue and 10th Street. Trips would return via Long Beach Boulevard and serve Shoreline Village on the trip back to the Queen Mary. This alignment is more direct, easier to understand, serves a greater area, and can be operated with the same resources as today’s alignment at 15-minute all-day frequency. Several areas currently served by the Passport would no longer have service. The Aquarium of the Pacific stop would be replaced by stops 600 feet away on Shoreline Drive. The DoubleTree and Residence Inn hotels on Queensway Drive would no longer have a stop in front of them. In addition, the stop by the Hilton Long Beach would no longer be served. There are approximately 100 weekday customers at the hotel stops, but historically, there have been 500 customers generated from the stops at 10th Street. Routes 45/46 provide frequent service on Anaheim Street. Productivity is excellent. Routes 45/46 have different route termini on the western end. The Santa Fe Avenue terminus on Route 45 has low ridership and duplicates Routes 191/192 service. The Transit Gallery terminus on Route 46 duplicates multiple other routes, including the Blue Line. Two different termini, with different operating conditions, leads to imbalanced route spacing. While Routes 45/46 may be scheduled to be 15 minutes apart on Anaheim Street, seemingly minor differences in running times and exposure to delay create situations where trips are not evenly spaced. Both Routes 45/46 terminate at PCH, approximately 1.5 miles from the biggest ridership destination in east Long Beach—the campus of California State University, Long Beach (CSULB). Routes 45/46 should be consolidated into one route—Route 40—which would operate more frequently than current service. A consolidated route would simplify the system and ensure that bus spacing is maintained. Weekday peak service would be approximately every 7–8 minutes and weekday midday service would operate every 10 minutes. Route 40 would operate between Anaheim Street/Magnolia Avenue and CSULB. It would not continue to either Santa Fe Avenue or to the Transit Gallery. The extension to CSULB would utilize PCH, 7th Street and W. Campus Drive. The Veterans Affairs Hospital (VA) would also be served. Route 40 would interline with a restructured Route 171, which would operate at a similar frequency and span. To accommodate high school-related loads, school trips to Wilson High School should be added as well during the school year. Routes 51/52 provide frequent service on Long Beach Boulevard. The only difference between the two routes is a deviation onto Victoria Street and Santa Fe Avenue by Route 52. The total number of customers on the unique Route 51 segment is more than 5 times the number customers on the Route 52 segment between Victoria Street and Santa Fe Avenue. This manifests itself on the overall ridership of each route, as Route 51 (46.6 boardings per hour) has higher productivity than Route 52 (38.0 boardings per hour). In addition, while the distances traveled between Artesia Boulevard and Victoria Street/Long Beach Boulevard are approximately equal between the two routes, the greater ridership and additional traffic lights on the Route 51 segment are likely to have greater variability, which can lead to southbound imbalanced headways, i.e., the two different variants are causing the frequency not to be an evenly spaced 12 minutes during weekdays. Routes 51/52 should be consolidated into one route—Route 51. A consolidated route would simplify the system ensure that bus spacing is maintained. 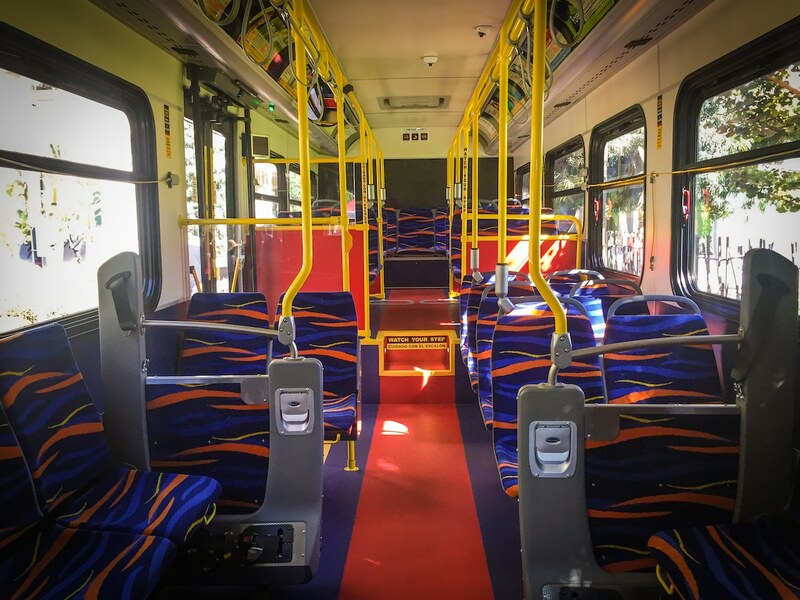 Ridership potential also increases as greater transfer opportunities and better service to Compton College is available on the Route 51 alignment. This recommendation negatively affects approximately 30 customers who utilize the stop in front of the Los Angeles County Department of Public Social Services. Based on the ridership on the stops only served by Route 51, more than 250 customers would have service frequencies doubled, which will lead to more ridership. No changes to span or frequency are recommended. No frequency, span, or routing recommendations are made for Route 61. However, a closer examination of on-time performance is necessary. Atlantic Boulevard is a challenging environment and ridership on Route 61 is high. In order to improve speed and reliability on Atlantic Boulevard, LBT should partner with the City of Long Beach (COLB) to implement capital enhancements such as transit signal priority or transit-only lanes. Routes 71/72 are lower-than-average productivity routes providing north-south connectivity on Alamitos and Orange avenues. Both Routes 71/72 make an outbound deviation to Atlantic Avenue that adds more than 5 minutes of travel time for over 260 existing customers. The deviation is not made in the inbound direction. Route 72 makes a deviation to serve Artesia Boulevard, Atlantic Avenue and Hunsaker Avenue. Ridership on this deviation is less than half of ridership on comparable trips on Orange Avenue. The majority of ridership generated on this segment is coming from the neighborhood between Atlantic/Hunsaker and Orange avenues, as the Los Angeles River limits walk access west of Atlantic/Hunsaker avenues. Routes 71/72 should be consolidated into one route—Route 70—that connects Long Beach, the Lakewood Green Line Station, and the City of Downey. The extension into Downey will add a destination to the north end of the route and improve ridership. Key destinations on the extension include Walmart on Rosecrans Avenue, the Lakewood Green Line Station, Kaiser Permanente Downey Medical Center, and the Promenade at Downey. The northbound New York Street deviation to Atlantic Avenue should be eliminated. This will remove Routes 71/72 service from in front of the Sea Mist Towers and a short block from the St. Mary Tower, both of which house senior and persons with disabilities populations. Existing customers at either of the two stops by Atlantic Avenue will continue to have options. They can walk to Alamitos Avenue to access Route 70, which many existing customers are doing right now, as there is no southbound Route 70 service to Atlantic Boulevard. Alternatively, customers can utilize Route 90 service on Anaheim Street to travel to Alamitos Avenue. Also, existing customers will continue to have service by Route 61 on Atlantic Avenue. The Route 72 deviation onto Atlantic/Hunsaker avenues should be eliminated and all trips should operate on Orange Avenue. This will improve service to a greater residential population and improve ridership. Routes 71/72 should be consolidated into one route—Route 70—that connects Long Beach to the Lakewood Green Line Station. The extension to the Green Line will add a destination to the north end of the route and improve ridership. The northbound New York Street deviation to Atlantic Avenue should be eliminated. This will remove Route 71/72 service from in front of the Sea Mist Towers and a short block from the St. Mary Tower, both of which house senior and persons with disabilities populations. Existing customers at either of the two stops by Atlantic Avenue will continue to have options. They can walk to Alamitos Avenue to access Route 70, which many existing customers are doing right now, as there is no southbound Route 70 service to Atlantic Boulevard. Alternatively, customers can utilize Route 90 service on Anaheim Street to travel to Alamitos Avenue. Also, existing customers will continue to have service by Route 61 on Atlantic Avenue. Route 81 is an average route that operates weekdays only. Its primary market is students to either Wilson High School or CSULB. Every customer carried on Route 81 is less than a .-mile walk away from more frequent service on 7th or Anaheim streets, both of which also will have service to CSULB. The resources for Route 81 should be consolidated into more frequent service on 7th and Anaheim Streets. More frequent service for more customers will result in less waiting time, easier transfers, more convenient service, and ultimately more customers. Any existing Route 81 customer has a short walk to better service. Routes 91/92/93/94 offer high levels of service between the Transit Gallery and Los Altos Market Center. Ridership levels are very high in this segment. Ridership north of Los Altos Market is more limited, with Route 93—which serves LBCC and Lakewood Center—having the highest. Routes 91/92/93/94 should be consolidated into one route—Route 90—that operates between Lakewood Center, LBCC, Los Altos Market, CSULB, and downtown Long Beach, following the alignment of the existing Route 93. Frequencies should be improved over today’s service levels, frequencies improving to every 10 minutes during the peak periods and every 10 minutes during weekday middays. This will improve service for more than 80 percent of existing customers and should attract more customers to use the service. This recommendation will remove service from portions of Woodruff Avenue, Clark Avenue and Bellflower Boulevard, all of which have low ridership. Lakewood High School would still be served directly by Route 96. Frequent Transit Network: A new Lakewood Center–Green Line route would connect Lakewood Center and the Norwalk Green Line Station. Service would operate every 20 minutes on weekdays. Circulator Transit Network: The 90 Super Limited, described in the Route 96 recommendations, would provide limited-stop service between Lakewood Center and the Norwalk Green Line Station. Regional Transit Network: LA Metro would provide the connection between the Green Line, the City of Bellflower and the Lakewood Center. Route 96 operates peak directional service on school days only and provides limited-stop service to CSULB and multiple different high schools. It is LBT’s most productive route. In the afternoon, the first six trips between 1:30 p.m. and 3:05 p.m. are consistently full. Trips after 3:05 p.m. carry less than half the number of customers, on average. The last two trips carry less than 10 customers. In the morning, the pattern is similar, where the last five trips (9:18 a.m. or later departures) average less than 10 customers. No alignment changes are recommended for Route 96. Due to low ridership, the last three afternoon trips (4:04 p.m., 4:30 p.m. and 5 p.m.) should be eliminated, as well as eliminating the last five morning trips (9:18 a.m., 9:38 a.m., 9:48 a.m., 9:58 a.m. and 10:08 a.m.). A total of 70 customers would need to transition to Route 90 service instead of the limited-stop service. Route 96 should be consolidated into a new route—90 Super Limited—which would connect the Norwalk Green Line Station with Lakewood Center, LBCC, CSULB and downtown Long Beach. The 90 Super Limited would operate year-round on weekdays with 10-minute peak frequency and 20-minute off-peak frequency. Service north of the Lakewood Center would operate every 20 minutes throughout the day. Stops would include all existing Route 96 stops, and include additional stops at the Transit Gallery, 4th Street, Bellflower Boulevard/Spring Street, Bellflower Boulevard/Carson Street, LBCC, Clark Avenue/Del Amo Boulevard, Clark Avenue/Candlewood Street, Bellflower Boulevard/South Street, Bellflower Boulevard/Artesia Boulevard, Bellflower Boulevard/Alondra Boulevard, Bellflower Boulevard/Rosecrans Avenue, Bellflower Boulevard/Imperial Avenue, Imperial Avenue/Woodruff Avenue and the Norwalk Green Line Station. During school times, the 90 Super Limited should deviate to Woodruff Avenue to serve Millikan High School. Routes 101/103 connect Hawaiian Gardens, Lakewood Center, and LBCC with the Blue Line and west Long Beach. Ridership productivity is good. In order to improve reliability and to simplify service, Routes 101 and 103 should be consolidated to operate as one route following Route 101’s alignment between Hawaiian Gardens and Atlantic Avenue. In addition, Route 101 should terminate at the Wardlow Blue Line Station instead of continuing on to the Willow Blue Line Station. This will provide more frequent, more direct connections with the Blue Line, which was requested as part of the outreach process. In addition, all-day weekday frequency on Route 101 should be improved to every 15 minutes on weekdays, improving access for almost all existing customers. Existing customers on Willow Street east of Atlantic Avenue will continue to have service on Route 104, which will be upgraded to 15-minute frequencies. Existing customers headed to Lakewood Center would need to transfer to Route 90. Lakewood High School students would have a longer walk to access service from Carson Street, but service would be more frequent. Routes 102/104 connect Hawaiian Gardens, Long Beach Airport, the Blue Line, and west Long Beach. Productivity is below average, and ridership is concentrated in the western portion of the route. In order to improve reliability and to simplify service, Routes 102/104 should be consolidated to operate as Route 104, in an alignment that mostly follows the current Route 104 routing. The Long Beach Airport stop should be eliminated due to poor ridership and the fact that the deviation adds more than 7 minutes travel time to anyone heading to or from Hawaiian Gardens. In addition, all-day weekday frequency on Route 104 should be improved to every 15 minutes on weekdays, improving access for almost all existing customers. Existing customers headed to Long Beach Airport would need to transfer to Route 131 on Lakewood Boulevard or walk . mile. Existing customers on N. Studebaker or Wardlow roads would need to walk to access the more frequent Route 104 service. In order to improve reliability and to simplify service, Routes 102/104 should be consolidated to operate as Route 104, in an alignment that mostly follows the current routing to Lakewood Boulevard. The restructured route would also extend to Bellflower Boulevard and serve the Los Altos Market Center. Route 104 would no longer serve Long Beach Airport, Hawaiian Gardens, or any point east of Bellflower Boulevard, with the exception of several school trips to Millikan High School. All-day weekday frequency on Route 102 should be improved to every 20 minutes on weekdays, improving access for customers in the busiest segments. Existing customers using the service east of Bellflower Boulevard would need to access one of two new circulator routes, including Routes C6 and C7. Routes 111/112 connect downtown Long Beach and the Lakewood Center via Broadway, Ximeno Avenue and Lakewood Boulevard. Ridership and productivity is slightly below average. Ridership is lower on the northern portion of the route, where the route branches into two different branches, one using Clark Avenue, the other using Lakewood Boulevard. Ridership is low on Lakewood Boulevard north of Willow Street and also on Clark Avenue between Willow and Carson streets. The Long Beach Airport stop is only used by about 30 customers in each direction. Routes 111/112 should be consolidated into one route—Route 110—that best serves the highest ridership areas of the current alignments. This change would improve reliability, travel times between LBCC and Lakewood Center and downtown Long Beach, as well as frequency. South of Willow Street, the alignment would be unchanged. The consolidated alignment north of Willow Street would use Lakewood Boulevard, Carson Street, Clark Avenue and terminate at the Lakewood Center. Service would no longer be provided on Willow Street, Clark Avenue between Willow and Carson Streets, and Lakewood Boulevard between Carson Street and Del Amo Boulevard. Route 110 would no longer stop inside the airport, but would serve the stops on Lakewood Boulevard by Wardlow Road, a .-mile distance from terminal. Route 110 would no longer serve the Lakewood Regional Medical Center. Customers to this destination would need to transfer to a restructured Route 192 at the Lakewood Center. Route 110’s frequency would be upgraded to every 15 minutes throughout the day on weekdays. The all-day frequency improvement should attract additional ridership. Route 121 connects downtown Long Beach, Belmont Shore, CSULB, and the Traffic Circle area. Large parts of Route 121 are currently duplicated by other routes, including Route 131 between Redondo and PCH, and Route 171 between 2nd Street and CSULB. Ridership is slightly below average. In order to reduce duplication of service, with other routes, Route 121 should be truncated to serve the CSULB–Belmont Shore–downtown Long Beach market only. All existing stops along these locations would remain the same. Concurrent with this change, the frequency of Route 121 should be improved from 20-minute service to 15-minute service. Existing Route 121 users north of CSULB would continue to be served by a restructured Route 171 and by the extension of Route 40 from Ximeno Avenue/PCH to CSULB. In conjunction with the frequency enhancements to Route 121, Route 171 would no longer operate south of 7th Street and Route 131 would no longer duplicate Route 121 between Redondo Avenue and PCH. Route 131 is one of the least-productive routes operated by LBT. It duplicates long segments of other routes, including Routes 121 and 171 in Belmont Shore and Seal Beach. Its best frequency is every 45 minutes, which is not attractive to potential customers. Route 131 should be restructured to provide a direct connection between the Blue Line and Douglas Park, Long Beach Airport, and downtown Long Beach via Broadway. Route 131 would directly serve the anticipated 4.1 million square feet of building space and 5,000 jobs in Douglas Park. Frequency would be improved to every 30 minutes to attract more customers to the route. The frequency of service between Long Beach Airport and downtown Long Beach would improve from 40-minute service to 30-minute service. Route 131 would no longer serve Seal Beach or Belmont Shore. Existing Seal Beach customers would need to utilize Orange County Transportation Authority’s (OCTA) Route 1 to transfer to other LBT routes at 2nd Street or at the VA/CSULB. Existing Belmont Shore Route 131 customers would need to use Route 121 to transfer to other LBT services in downtown Long Beach or at the VA/CSULB, or walk . mile at Redondo Avenue between Ocean Boulevard and Broadway. Route 131 should be restructured to provide a direct connection between the Blue Line and Douglas Park, Long Beach Airport, and downtown Long Beach via 4th Street. Route 131 would directly serve the anticipated 4.1 million square feet of building space and 5,000 jobs in Douglas Park. Route 131 would replace Route 151 service on 4th Street between Redondo Avenue and downtown Long Beach. Frequency would be improved to every 30 minutes to attract more customers to the route. The frequency of service between Long Beach Airport and downtown Long Beach would improve from 40-minute service to 30-minute service. Route 131 would no longer serve Seal Beach or Belmont Shore. Existing Seal Beach customers would need to utilize OCTA’s Route 1 to transfer to other LBT routes at 2nd Street or at the VA/CSULB. Seal Beach customers could also utilize the proposed circulator Route C2, which would connect Seal Beach and Belmont Shore. Route C2 would operate every 30 minutes throughout the day. Existing Belmont Shore Route 131 customers would need to use Route 121 to transfer to other LBT routes in downtown Long Beach or at the VA/CSULB. Route 151 has below-average productivity. Much of the alignment is within a short walk of more frequent service. In addition, there is no real destination at the eastern route terminus. Route 151 should be extended to serve more destinations, which should attract more customers to use the service. The new extension should serve CSULB and points further north along the alignment of Routes 172/173. Specific streets served include Park Avenue, 7th Street, Campus Drive, Beach Drive, Bellflower Boulevard, Atherton Street, Palo Verde Avenue, Carson Street, Norwalk Boulevard, South Street and Studebaker Road, with a terminus at the Norwalk Green Line Station. Between Park Avenue and Chavez Park, Route 151’s alignment will not change. On weekdays, Route 151’s frequency would be reduced to 30-minute service. Route 131 should replace Route 151 between Chavez Park and Redondo Avenue. Between Chavez Park and Redondo Avenue, Route 131’s alignment will be identical to Route 151’s current alignment. There would no longer be service on 4th Street east of Redondo Avenue, which would negatively affect approximately 10 percent of existing route boardings. Customers along 4th Street would have new destinations, however, including Long Beach Airport and Douglas Park. The new destinations should mitigate the ridership loss east of Redondo Avenue. Route 131 would operate every 30 minutes seven days a week. Routes 171/172/173/174 provide service along PCH between Pacific Avenue and the Traffic Circle, and ridership is high in this segment. Routes 171/172/173/174 operate a frequent schedule along PCH that is not coordinated, which often leads to two buses following each other. Load data shows that between all routes serving PCH, capacity is available during most parts of the day. Many of the segments operated by Routes 171/172/173 east of the Traffic Circle have low ridership. This includes the segment on Route 171 between CSULB and Seal Beach, the Palo Verde Avenue on Route 172 (with the exception of the stop by Millikan High School), and Studebaker Road, Palo Verde Avenue between Atherton and Carson streets. Routes 171/172/173/174 should be consolidated into one consistent Route 171 alignment. This will simplify service and ensure that buses are spaced evenly along the route. The restructured Route 171 would operate from its western terminus in west Long Beach to the VA/CSULB, where the route would be interlined with the restructured Route 40. Service levels would be improved to seven-minute peak service and 10-minute midday service. Service on weekends would be approximately every 15 minutes. Multiple segments that are currently served by Routes 171/172/173/174 would be served by other routes. Between the Transit Gallery and PCH, restructured Routes 181/182 will provide a combined 15-minute service on Pacific Avenue, replacing Routes 172/173/174. Between the VA Hospital and Seal Beach, OCTA’s Route 1 and LBT’s Route 121 will provide service. Route 121’s frequency would be every 15 minutes on weekdays. On Studebaker Road between Willow and Atherton streets, OCTA’s Route 50 would continue to provide service. Restructured Routes 151 and 172 would provide service on Atherton Street, Palo Verde Avenue, Carson Street, Norwalk Boulevard, South Street and Studebaker Road to the Norwalk Green Line Station. This includes the higher ridership stops on Routes 171/172 east of Bellflower Boulevard. The restructured Routes 151 and 172 would operate every 30 minutes. Current customers using Routes 172/173/174 to access downtown Long Beach would have the option of either walking to or transferring to existing north-south routes at Long Beach Boulevard, Atlantic Avenue, Orange Avenue, Cherry Avenue, Redondo Avenue or Ximeno Avenue. A new circulator Route C4 would provide service between the Norwalk Green Line Station and Los Cerritos Center. New circulator Routes C5 and C6 would provide coverage for existing segments of Routes 171 and 172 in Hawaiian Gardens. A new circulator Route C7 would provide coverage for existing segments of Routes 171 and 172 on Studebaker Road and Palo Verde Avenue. Route 176 is a lower-productivity route connecting the PCH corridor, the two Long Beach Community College (LBCC) campuses and Lakewood Center. It does not serve downtown Long Beach. Route 176 is eliminated in this alternative. Existing customers can access more frequent service along PCH with the restructured Route 171 and the restructured Route 110 along Lakewood Boulevard and Clark Avenue. All existing customers would continue to have service. Stops would be more limited than the existing Route 176. One of the keys to success for the Lakewood Center–Downtown Limited is an agreement between LBT and LBCC to implement a transit pass for students. Routes 181/182 connect the Transit Gallery with the Wardlow Blue Line Station via Pacific and Magnolia avenues. Each route is timed to alternate. Route 181 duplicates Routes 191/192 between Anaheim Street/Magnolia Avenue and the Transit Gallery, reducing the market potential for this route. In order to reduce duplication of service with Routes 191/192, Route 181’s alignment should be changed to operate on Pacific Avenue between the Transit Gallery and Anaheim Street. This will create a frequent service corridor on along the route. Routes 181/182 should continue to be scheduled with alternating trips. In addition, the frequency of Routes 181/182 should be improved to every 30 minutes, which will create 15-minute service on Pacific Avenue, replacing existing Routes 172/173/174 service along most of this segment. Routes 191/192 connect downtown Long Beach and west Long Beach with an east-west crosstown. Productivity is average. Both Routes 191/192’s alignment should be adjusted to provide a direct connection to Lakewood Center. Route 191 should deviate north from Del Amo Boulevard to Candlewood Street via Lakewood Boulevard and Clark Avenue. Route 192 should deviate south from South to Candlewood streets via Lakewood Boulevard and Clark Avenue. Having both Routes 191/192 serve Candlewood Street more directly serves a major destination and ensures that transfers to multiple different routes can occur in one location. The base peak frequency of Routes 191/192 should be improved to every 24 minutes throughout weekdays, so that west Long Beach has more frequent service (a bus every 12 minutes) to downtown Long Beach and to the Blue Line. Both Routes 191/192’s alignment should be adjusted to provide a direct connection to Lakewood Center. Route 191 should deviate north from Del Amo Boulevard to Candlewood Street via Lakewood Boulevard. Route 192 should deviate south from South Street to Candlewood Street via Lakewood Boulevard. Having both Routes 191/192 serve Candlewood Street more directly serves a major destination and ensures that transfers to multiple different routes can occur in one location. The alignments east of Lakewood Center would no longer be served directly by Routes 191/192. Route 191 service between the Lakewood Center and Hawaiian Gardens would be served by a new circulator Route C5. Route 192 service between the Lakewood Center and Los Cerritos Center would be served by a new circulator Route C4. Frequencies on Routes C4/C5 would be every 30 minutes, which approximates today’s frequency on Routes 191/192. The base peak frequency of Routes 191/192 should be improved to every 24 minutes throughout weekdays, so that west Long Beach has more frequent service (a bus every 12 minutes) to downtown Long Beach and to the Blue Line.